The eco bach was created to meet the design principles of low embodied energy, non toxic, energy efficient and local. 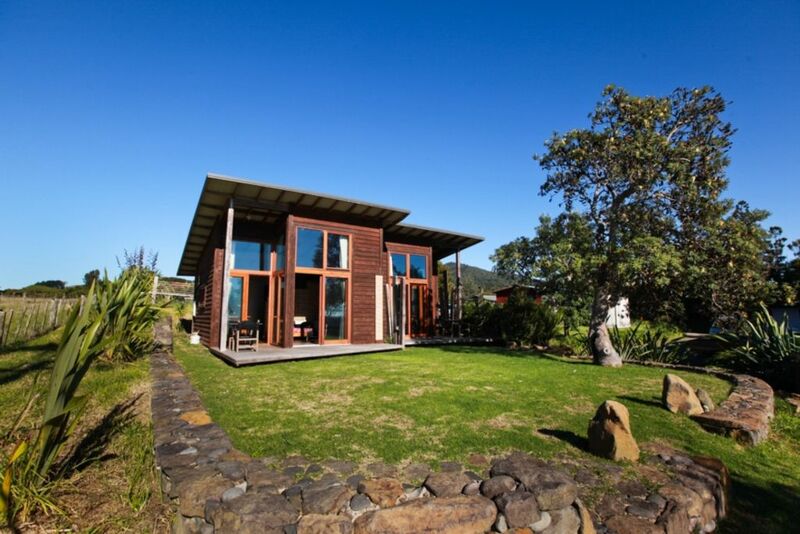 This simple, elegant building constructed of natural and recycled timbers, earth bricks and a myriad of eco features such as; passive solar design, locally made double glazed windows and joinery, wool insulation, natural oil finishes and bio paint. This has then been created into two self contained, open planned studios with cathedral ceilings and north facing window walls over looking our permaculture garden, out to the ocean. Our Eco baches are located at Solscape Eco Retreat. Quiet: 10pm: Quiet in all areas: many adults and children will be sleeping, and it is important that everyone is ensured the opportunity of a good sleep undisturbed by the noise of others.